Pinot Blanc! Do not worry, this is our classic Pinot d’Alsace blend of Auxerrois (70%) and Pinot Blanc (30%) originating from both Herrenweg and Rotenberg vineyards, in equal proportion of red Calcareous and Gravelly soil. 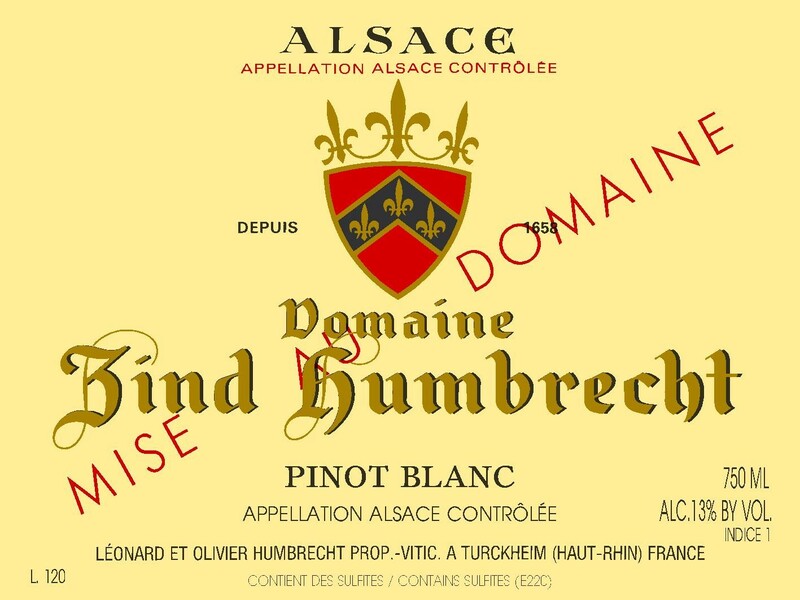 The Alsace legislation allows these kinds of blends to be labelled either way, so we decided to go for the Pinot Blanc name as it was more explicit to some of our customers. The 2008 vintage was harvested perfectly healthy and with a tremendous acidity, much higher than normal and quite a high ripeness. More than ever, the decision of blending these two different types of vineyards was useful. Usually the Rotenberg brings the acidity and Herrenweg the flavours, but in 2008 it was the Herrenweg that made the acidity of the Rotenberg more enjoyable. 2/2010: quite an amazing gold colour. The nose shows immediate intense fruits flavours and is quite aromatic at this early stage. The palate is quite long and creamy. The small sweetness is perfectly integrated in the wine and the vibrant 2008 acidity makes this wine perfectly balanced. This is serious Pinot Blanc and the closest to the famous 2005 vintage that we have made. It should go perfectly with many fish dishes, poultry and many informal meals.